Dr. Nikhil Dhingra is a board-certified Dermatologist and lifelong New Yorker. After completing his BS in Biology at Haverford College, Dr. Dhingra obtained his MD from Columbia University College of Physicians and Surgeons. He completed a year-long research fellowship as a clinical scholar at The Rockefeller University in the laboratory of Dr. Emma Guttman. 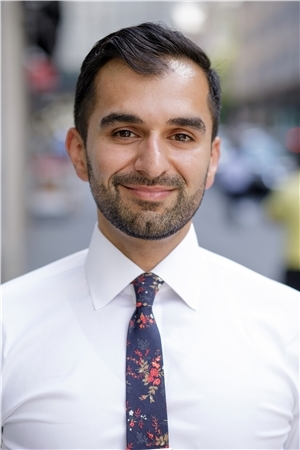 Dr. Dhingra did his internship in Internal Medicine at North Shore-Long Island Jewish Hospital / Northwell Health System and his residency in Dermatology at Icahn School of Medicine at Mount Sinai in New York, where he served as Chief Resident. Throughout his training, Dr. Dhingra has been involved in a variety of research projects and has published a number of papers and textbook chapters. His areas of interest include inflammatory skin diseases, acne, LGBTQ healthcare, and cosmetic medicine, including male aesthetic treatments. His clinical philosophy involves working together with his patients as partners in achieving their medical and aesthetic goals.